Part of Clarity Laser Vision’s mission is to give back to the community. 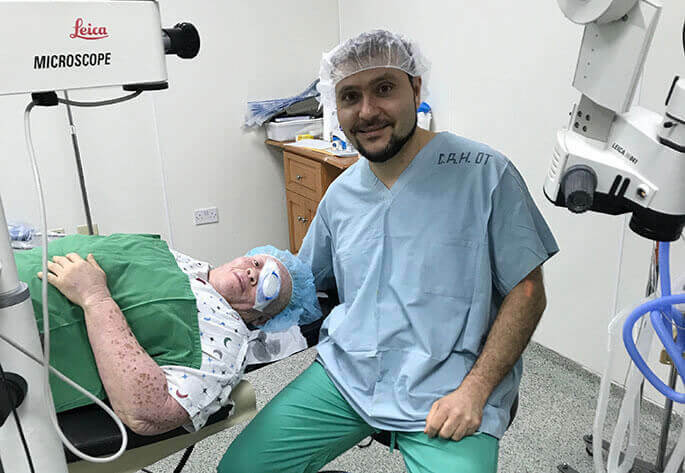 We’re proud to say that Dr. Al-Ghoul is the surgical director of a charitable organization called Canadian Vision Care where he dedicates his time and resources to help the less fortunate. Canadian Vision Care sponsors surgical missions to underprivileged areas to deliver quality vision care to those in need. Dr. Al-Ghoul has helped establish mission trips to areas of the world such as Guyana, Jamaica, Africa, Costa Rica, and the Philippines. 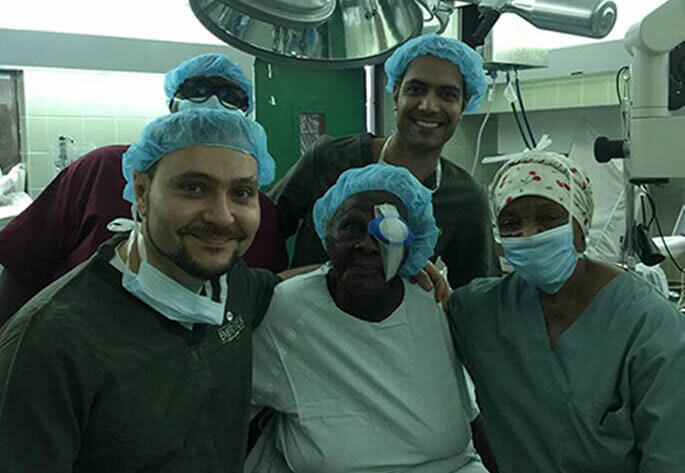 Dr. Al-Ghoul has most recently performed cataract surgeries in Jamaica, a procedure which is common in Canada but is life-changing for those who cannot afford the procedure. Many patients are so severely affected by cataracts that they are debilitated in their daily lives. The surgery restores their quality of life and allows them to resume working and caring for their families. 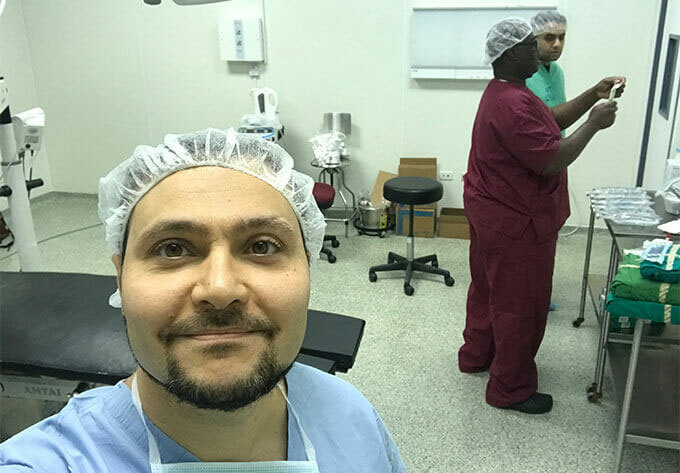 These mission trips also serve as an opportunity for surgical residents to accompany Dr. Al-Ghoul and gain meaningful service experience. 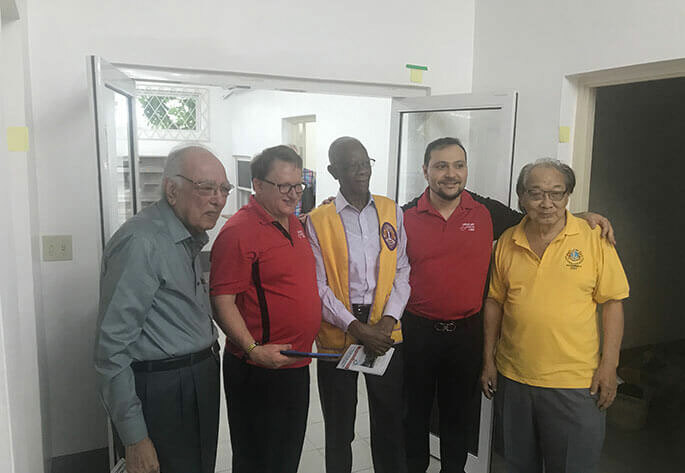 Canadian Vision Care also educates local doctors and optometrists in the countries it visits, setting up treatment locations and donating equipment so that patients in the area can continue receiving quality medical care even after the mission trip is over. This helps create jobs and stimulate the economy in addition to helping the community become healthier, allowing them to thrive. If you’d like to get involved, you can sponsor a child’s medical care or a student’s optometry training in one of these communities. For more information on Canadian Vision Care or to find out how you can help. DR. AL-GHOUL at the grand opening of a new charity surgical centre in montego bay, jamaica. DR. AL-GHOUL getting ready to do surgeries in falmouth, jamaica. 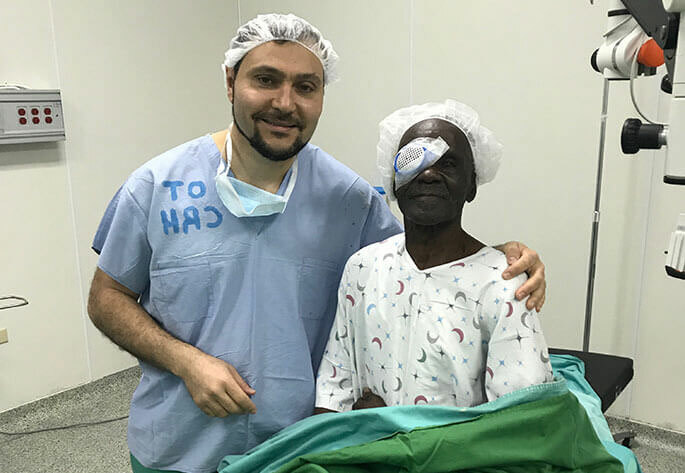 DR. AL-GHOUL with one of his first patients for the day that he operated on in jamacia in 2018. 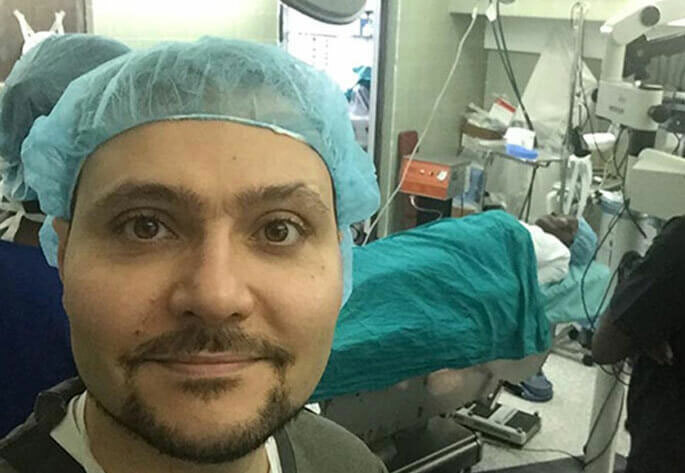 DR. AL-GHOUL taking a picture with his last patient of the most recent charity trip in montego bay, jamaica in 2018. DR. AL-GHOUL getting ready to operate at cornwell regional hospital in montego bay, jamaica in 2016. DR. AL-GHOUL with his surgical team and university of calgary medical resident at cornwell regional hospital in 2017.